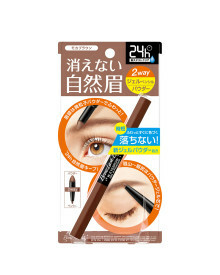 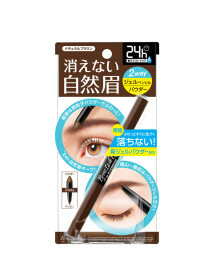 Two-end eyebrow pencil and liquid. 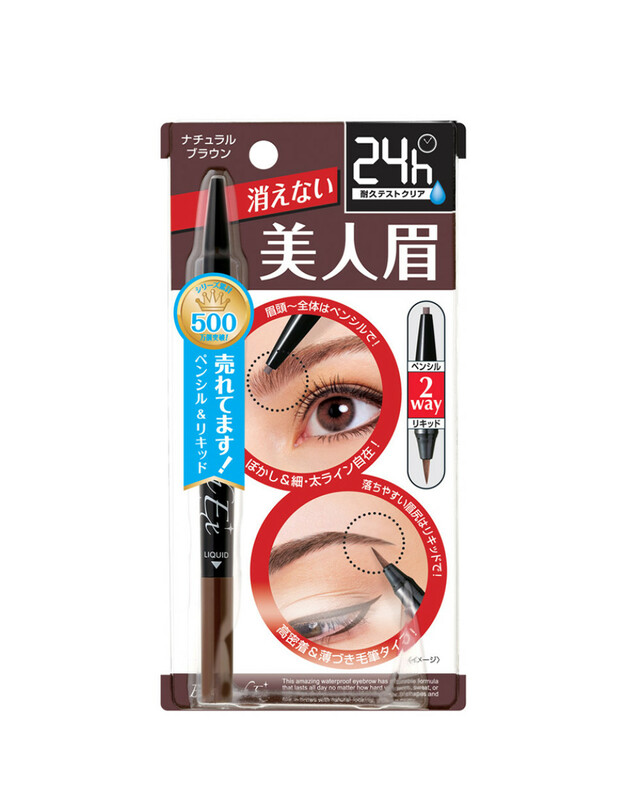 Water-proof film lasts and resists water, sweat and sebum all day long. 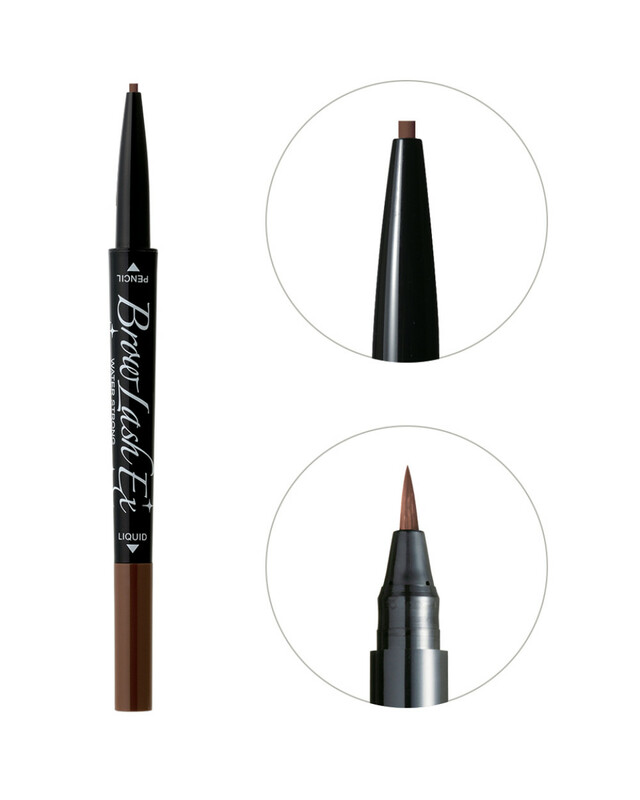 Add definition and dimension to your brows. Use brow pencil to fill the entire eyebrow. 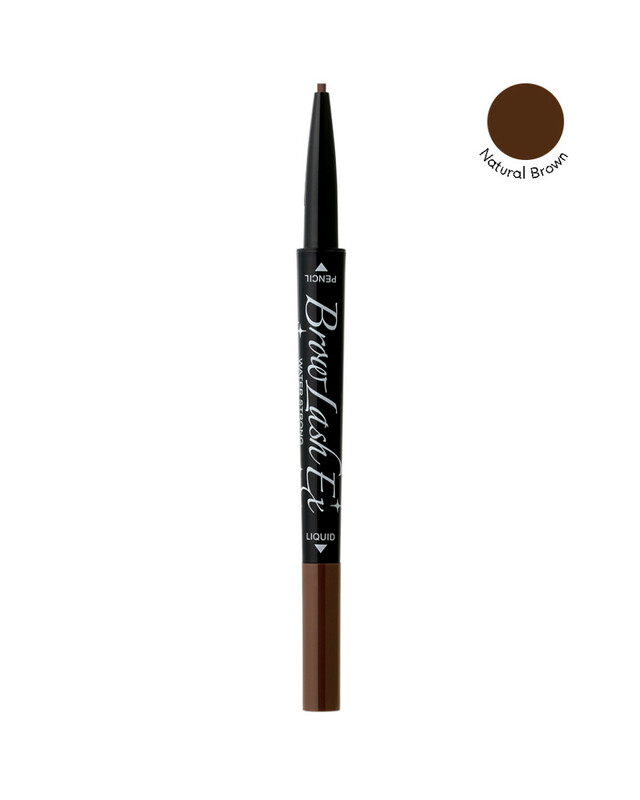 Add a coat of liquid brow all over eyebrow for long lasting hold and create a fine line at the end of brow. 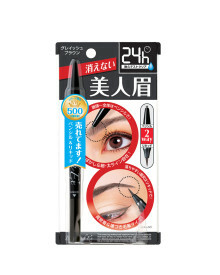 <Liquid> Water (Aqua), Butylene Glycol, Ammonium Acrylates Copolymer, Aminomethyl Propanol, Alcohol, Diethylhexyl Sodium Sulfosuccinate, Phenoxyethanol, Ethylparaben, Methylparaben, Blue 1 (Ci 42090), Red 33 (Ci 17200), Yellow 5 (Ci 19140).